It’s been an action-packed few days. Well OK that’s from the perspective of an old retired guy where going for coffee can occupy half a day! 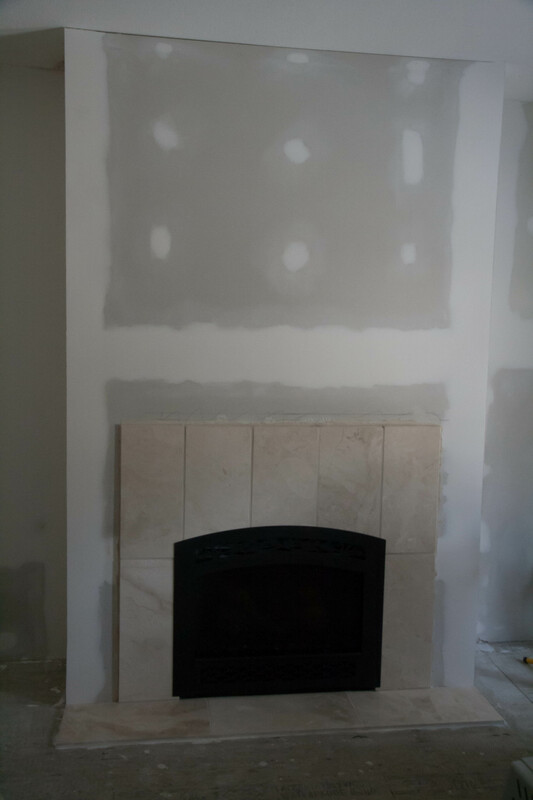 On Friday and Saturday the Chimney Guys installed the marble tile around our fireplace. It looks great and will look even better once the mantel is installed. Over the past few days I have been taping, mudding and sanding the drywall I installed. I thought I was finished today and ready to paint with primer when I discovered lots of little pock-marks when I wiped the seams down with a tack cloth. I guess the sanding dust had filled them in so they weren’t visible until I wiped. Ah well a little touch up and a little delay but no big deal. The big news, of course, is that I have registered the domain for my blog. Instead of windaturback.wordpress.com it now is simply windaturback.com How exciting is that? I guess that makes me master of my own domain! Over the weekend I also finished editing my pictures from our Caribbean sailing trip. A selection now appears on my Gallery page. Some of these appeared in earlier post and some are appearing for the first time. Friday night was opening night of Edmonton Opera’s final production of this season, Eugene Onegin. A wonderful performance, great voices and the Opera Chorus was fantastic as always. Sunday morning I went for my first run since I ran Surf City Marathon in Huntington Beach on February 3rd. I had decided to take some time off from running and spend that time riding my bicycle in the basement (it’s set up on a trainer). It was a nice cool Spring morning and it felt great to be out. The run was short (5K), slow and tough but not bad for the first time back. Of course Sunday morning wouldn’t be Sunday morning without heading down to Inglewood Second Cup for coffee with friends. Susan walked down. Fortunately she didn’t fall and bang up her knee like she did during the week. All the sand left on the streets after the snowmelt can be treacherous. Yesterday afternoon we went to a movie with our friend Brian. “The Place Beyond the Pines” was quite good. Certainly a lot of disfunctional characters in it! Last night our friend Dennis came over to take some measurements for the bookshelves/cabinets he is going to build for either side of the fireplace. Today had an early start with Spin Class at 6:10 am followed by Pilates at 8:30. Then I got to make more mess with sanding my drywall taping job. Dang I’m exhausted just telling you about my day! Tomorrow is a whole new day of fun! This entry was posted in Uncategorized and tagged renovations. Bookmark the permalink. Good luck in your latest adventure. I hope the wind is at your back everyday. Travel safe and look forward to reading your posts.